And some other things which I can’t remember. During these procedures various other things have happened, such as a potash glass vessel breaking due to the heat being too strong on it, flooding the furnace with water and putting it out. Or discovering that the fumes of the divine water turn copper silver. Actually I haven’t done any alchemical demos for nearly 2 years now, because of the hassle of setting up and taking down and the preparations necessary. I am not sure I’ll manage any this year, it depends on what events I attend. This is carrying authenticity a little too far. At least it shows an advantage of all natural construction- it didn’t actually burn or melt the way it would have if I had followed some suggestions and used a modern plastic cushion for the inside. As you can see, the wool just burnt a little. 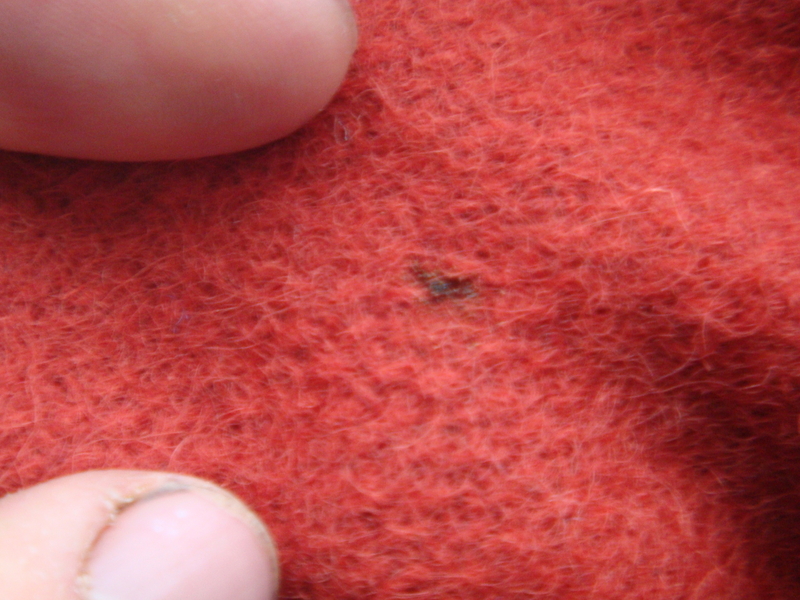 This is one major reason why I don’t use wool mixes and why you should avoid doing so if you’re doing any form of re-enactment which involves a fire. 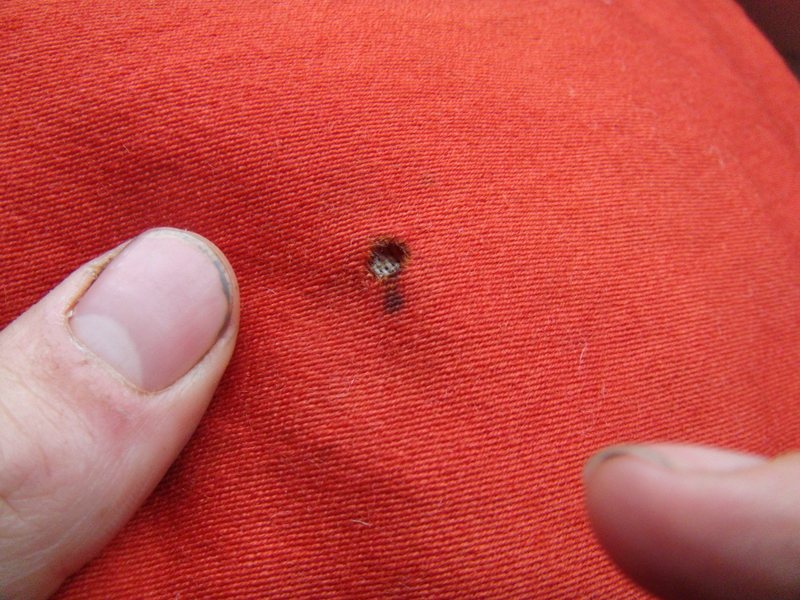 Okay, plenty of us sit around campfires in modern clothing and probably get a hole or two burnt in them, but we spend longer by fires in our authentic clothes, closer too, and it would be a shame to burn holes in them and have strange melted patches from the heat. At least it helps in giving clothes a well used and lived in look; re-enactment events always look better when people look at home in their clothes and they are properly lived in.